Year on year, the demand for weight loss surgery is on the rise in the UK and the world. The World Health Organisation (WHO) predicts that by 2015 approximately 2.3 billion adults worldwide will be overweight and more than 700 million will be obese. According to nhs.uk, the prevalence of obesity in England is one of the highest in the European Union with just over a quarter of adults (26% of both men and women aged 16 or over) classified as obese in 2010. The steady increase of weight loss surgeries performed has made this particular type of elective surgery a target of media coverage and general public social debates. Most likely you know someone who had the surgery or you know someone who knows someone who has had the surgery. The medias, in the UK and worldwide, feature daily stories, either it be a celebrity’s, politician’s or the average person’s successes or failures. The stories vary from patients life saving endorsements to horror stories of post surgery complications gone wrong. Sensationalism in the media often distorts facts and myths of weight loss surgery which makes it difficult for prospective patients to make an informed decision. To make an informed decision, patients are advised to seek advice from a bariatric surgeon to discuss their own specific needs and requirements. BUT, prior the consultation with a surgeon, it is important to make the differences between fiction and fact. Here are the top 5 myths demystified. 1 – Weight loss surgery is the easy way out. Nothing is further from the truth than the above statement. There is nothing easy about it. Patients undergoing bariatric surgery have to endure drastic dietary and lifestyle changes. For the first 4 weeks post surgery, they are only able to eat liquids and pureed foods. If they don’t follow advice from their dietitian or nutritionist post surgery, they may suffer from nausea, cramps, vomiting, dumping syndrome or other difficulties in digestion. Once they have mastered their diet, they need to start exercising regularly to shade the extra weight. Weight loss surgery is a tool that when combined with a healthy diet and exercise will support obese patients is achieving a healthier weight. 2 – Weight loss surgery is very risky. The general public associates bariatric surgery with a very high risk of death, but that is just not the reality. 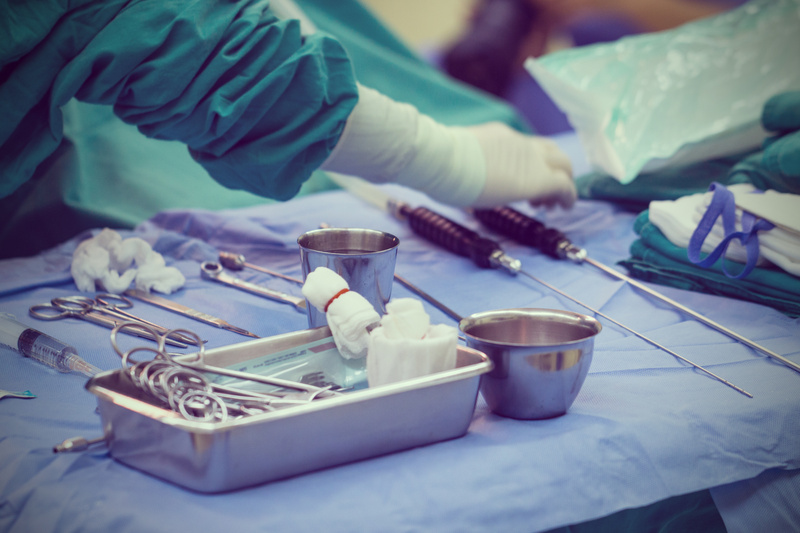 According to a recent report by NBSR (National Bariatric Surgery Registry in the UK), weight loss surgery is safe with a mortality rate of 0.1% overall and a surgical complication rate of 2.6%. The main reasons why most patients undergo surgery are the health risks associated with morbid obesity. In the long run, it is far riskier staying obese than having weight loss surgery. 3 – You will never regain weight. As stated above, bariatric surgery is only a tool. The amount of weight lost after surgery is down to each individual patients. The sustainability of weight loss is directly correlated to each patient’s motivation to commit to a healthier lifestyle. Some patients do regain some weight. There are no guarantees you will be thin but if you follow professional advice from a nutritionist/dietitian and in some cases a fitness trainer; the chances of not regaining weight are greatly improved. 4 – You’ll never be hungry. Physical hunger will be greatly diminished straight after surgery. Some patients may experience what is called head hunger, a withdrawal symptom. One to two years post surgery, after most of the weight loss, a large percentage of patients will regain hunger. The good news is by that time a smaller meal will satisfy and most patients have learned to eat a healthier diet. 5 – You can’t get pregnant after weight loss surgery. Obese woman have a harder time getting pregnant due to hormone imbalances and fertility issues such as a lack of menstrual cycles. Many women post surgery experience a higher level of fertility due to their healthier weight. Pregnancy after bariatric surgery is possible and patients experience a lower risks of complications associated with obesity with pregnancy. Once women have lost their excess weight and have no other health problems, they can expect to have a normal delivery. Not a member of Elevate Fitness? Try us for FREE!